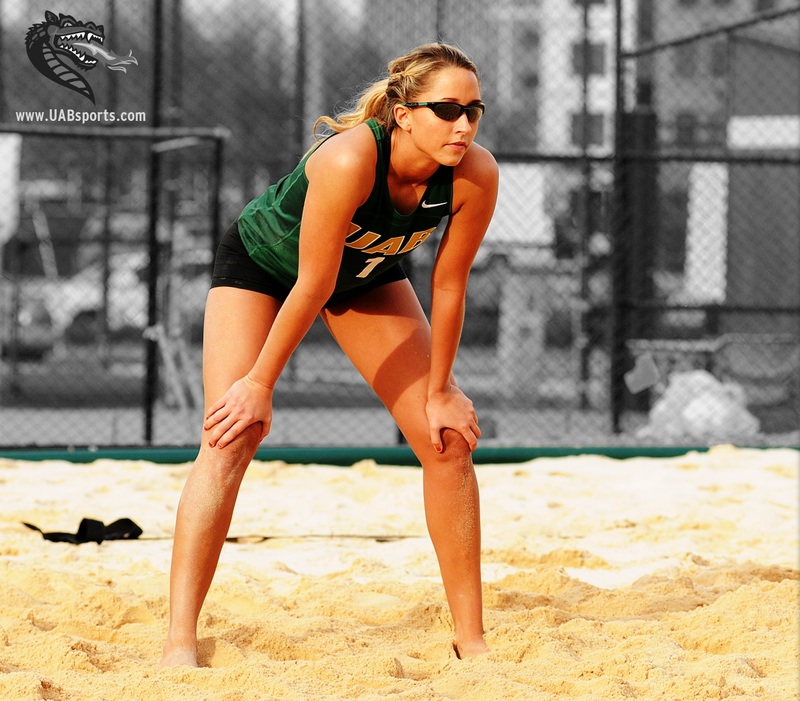 Today, Tulane University’s Beach Volleyball Coach Wayne Holly will join Stephen to talk about the upcoming beach season. But as sometimes happens other subjects come out of the discussion and this interview has that flavor. While we did discuss the future of college volleyball, we also discussed different perspectives young people could have for the sport of beach volleyball. This entry was posted in Philosophy, talk radio, volleyball on January 27, 2016 by admin. Inaugural NCAA Beach Volleyball Championship: Should it change your perspective? The recent announcement of the inagural NCAA beach volleyball tournament in May of 2016 was a major step forward adding beach volleyball to the map as a youth sport. The bigger question does this new tournament change your thoughts about playing beach volleyball in college, rather than simply indoor. From my perspective, it should. While outdoor volleyball i.e. beach volleyball is played all over the United States by adults, the youth version has been slowly gaining acceptance over the last 20 years or so. With that said, athletes should take a serious look into playing beach volleyball in college. 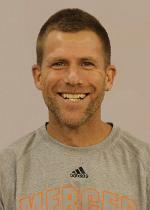 Secondly, I interviewed Mercer University’s head indoor and beach volleyball coach Damian Elder on this very subject. Mercer is one of the original 15 colllege programs in beach volleyball, so he was there in the beginning 4 years ago. Click here to hear his thoughts. Lastly, UNC Wilmington and their indoor volleyball coach Amy Bambenek just announced its beach volleyball program for 2016. Here is a small portion of the article posted on the NCAA site. Beach volleyball has been an official Olympic sport since 1996 and the source of its popularity in the United States can largely be traced to one dynamic team: three-time Olympic gold medalists Kerri Walsh Jennings and Misty May Treanor. Recognizing that surge in interest the NCAA in 2009 put beach volleyball on the list for emerging sports for women. After several years of unofficial championships the first NCAA championship will be held this spring with a winner determined via an eight-team double-elimination bracket. Each school sends five pairs, and much like tennis, the No. 1 seeded team plays the opposing No. 1 seeded team and so on through the roster. A school must win three out of the five pairs matchups to claim the match. Beach volleyball is not only the NCAA’s newest championship, but also its fastest growing sport. At the beginning of the calendar year, 50 Division I colleges and universities sponsored a team – 10 more than the minimum required to hold a national championship – and 19 of the programs have come into existence since 2013-14. Click here to read the entire article. This entry was posted in talk radio, volleyball on May 19, 2015 by admin. As a player, 3 time Olympian and Professional volleyball player Lindsey Berg has been at the forefront of USA Olympic volleyball for over 10 years and she admits that she was not always the most athletic person on the floor. How did this happen? She attributes her success to the early development of her “love of the game.” Today’s world of sport is littered with how-to camps and power tripping coaches who just think they have all the answers, our hope is more coaches will encourage young people to shake off all the reasons why they can’t, and find within their heart a deeper motive for playing the game of volleyball. 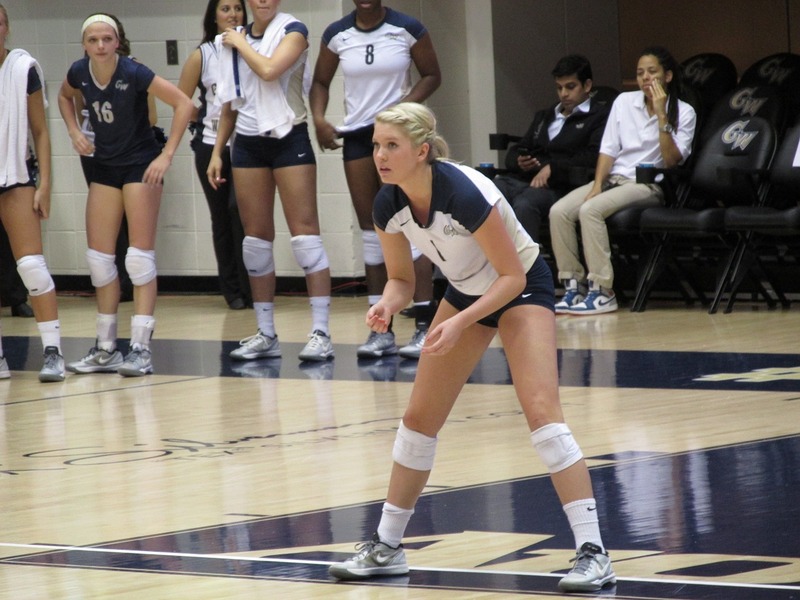 Click here to hear Lindsey on how she did not take the traditional path to elite performance, how some in the volleyball community did not see her potential, and how she overcame with the understanding that elite performance has to be deeper than just athletic ability. The link is about have way down the page. Secondly, former Olympic and current University of Minnesota coach, Hugh McCutcheon attacked the same question. The unique part of this discussion is how close their thoughts match. Click here for the entire interview. The answer.. When you are young, play numerous sports in a pickup game format. Come to realize the sport you love and become really good at that one you choose. Sadly, easy to understand and agree, but hard to go against the grain and therefore, not used very often. This entry was posted in talk radio, volleyball on May 13, 2015 by admin. Memphis Tigers Assistant Basketball Coach Aki Collins joined Stephen McCarthy to discuss how to get noticed by college coaches and the character traits and skills young athletes should develop to take advantage of their talent. Subjects covered: How colleges build their list of potential players, specific areas and order of things coaches look at, and how coaches shorten the list to find the best athletes for their particular program. This entry was posted in basketball, talk radio on October 30, 2014 by admin. Head Basketball Coach Paul McDonald of Vermillion Community College will be joining Stephen McCarthy of the The McCarthy Project to discuss one of the biggest trends recently is athletes attempting to gain perfection running a certain “xyz” system (i.e. robotic) and therefore, not seeing the whole picture or play and the effects of this type of player on how the game is played. Secondly, we will talk about the different types of drills or tasks you can do to help an athlete flow based on what he sees, rather than just doing it perfect. This entry was posted in basketball, talk radio on October 20, 2014 by admin. Stephen McCarthy of The McCarthy Project will be discussing the concept of leadership development in a world of “get mine first.” Subjects covered will include how do you break down the walls created by athletes who are just interested in getting theirs and how to be a great follower that can develop into a great leader. Scott Nagy returns for his 20th season at South Dakota State after guiding the Jackrabbits to three straight postseason appearances, which includes back-to-back NCAA Tournament berths in 2012 and 2013, and a bid to the College Basketball Invitational in 2014. He also led the Jacks to eight NCAA Tournaments at the Division II level. The most prolific coach in school history, Nagy seems to hit a personal or team milestone every season, with the latest being the program’s 1,400th win on March 1, 2014 against South Dakota in the final game of the 2013-14 regular season. This entry was posted in basketball, Philosophy, talk radio on October 8, 2014 by admin. 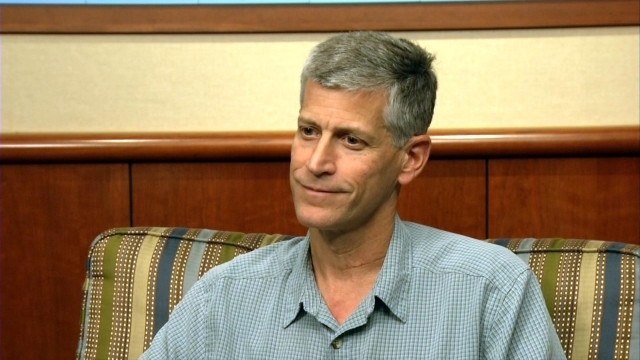 University of Minnesota’s head volleyball coach Hugh McCutcheon joined myself last week to talk about the love of sport and how to properly develop young athletes. Coach shared his story growing up in New Zealand playing multiple different sports and developing over his lifetime a love for volleyball. He talked about how he came to focus on one sport, volleyball, his transition to coaching and some of his principles of success. This entry was posted in talk radio, volleyball on September 5, 2014 by admin. 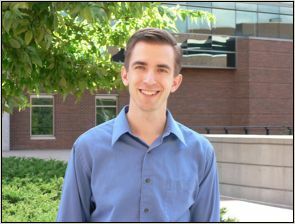 Brennan Platt of BYU recently co-published an article titled, “Sticking With What (Barely) Worked: A Test of Outcome Bias.” The interesting part is Dr. Brennan Platt is an economics professor at BYU. With all the recent movies around “Money Ball”, game theory and scientific management of sport, Brennan will be joining Stephen to talk about his findings, the trends, the limitations, and ultimately, how do you use the study to create a better decisions. For the complete interview, visit The McCarthy Project Blog Talk Radio. This entry was posted in Philosophy, talk radio on July 28, 2014 by admin. Marquette University’s head volleyball coach, Ryan Theis, will be discussing the importance and role of preparing the days before the actual event. Areas covered include: the role of the coach, the role of the athlete and how communication melds the two together. This entry was posted in talk radio, volleyball on July 23, 2014 by admin. Too many athletes have the athleticism to play at an elite level, but they do not. But why? Jason Colvin of TeamQuest joined Stephen McCarthy of The McCarthy Project to talk about creativity, individuality, and how a team can be developed towards not just doing what athletes are told by the coach, but living in the moment and completing the task that is needed at that moment based on what the athlete knows and sees. Other areas covered include: Finding connectivity through people, why you should not force your agenda on players and the parent, how to develop deep coach and player relationships. To listen to the complete interview, click here. 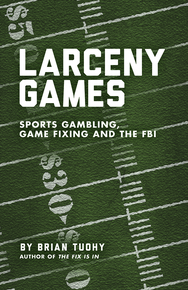 For the complete interview, visit The McCarthy Project on Blog Talk Radio. Or for more information on our custom performance building events, click here. 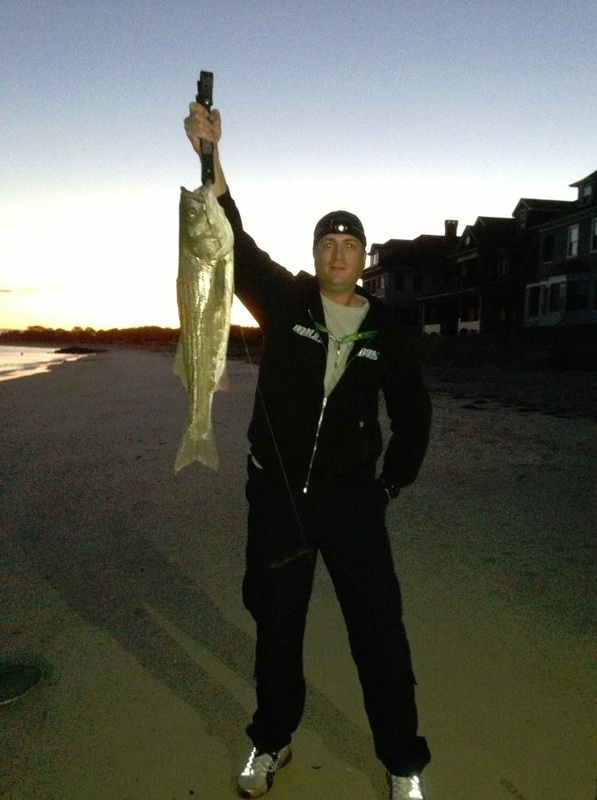 Jason is all about the outdoors, experiential learning and environmental awareness. He has been guiding individuals through outdoor leadership adventure trips, challenge courses and environmental education for five years. He earned Association of Challenge Course Technology Certification (ACCT) after training in high ropes facilitation and course management. He has a B.A. in fine arts and spent two years as a studio artist before breaking through to the world of outdoor learning and adventure. 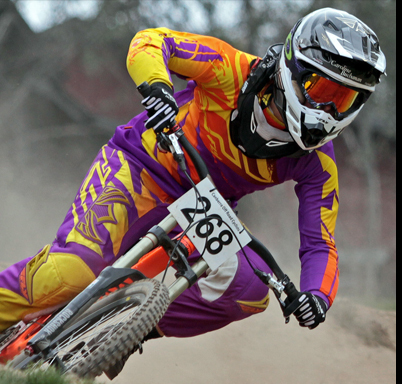 Click here for more on Jason Colvin and TeamQuest . This entry was posted in Philosophy, talk radio on July 18, 2014 by admin. Head Volleyball Coach Kirsten Bernthal Booth of Creighton University will be joining Stephen McCarthy of The McCarthy Project to talk about how off-court training habits lead to success on the court. Specific areas covered: Structure vs individuality, General thoughts that lead to success, sleep, nutrition, watching film, and how the use simple communication leads to better decisions. 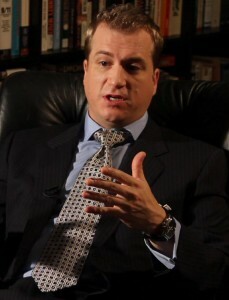 For the complete interview, visit The McCarthy Project Blog Talk Radio site. This entry was posted in talk radio, volleyball on July 17, 2014 by admin. Dr. Stefan Duma of Virginia Tech University will be joining Stephen McCarthy of The McCarthy Project to discuss concussions, helmets and the future quality of the gear. For the last three years, Dr. Duma developed testing strategies and protocols to rate the quality of football and hockey helmets. His hope is to educate the sports world on quality over cost and ways to reduce the number of head injuries in sport. Click here for Dr. Duma Star Rating System for all helmets. And here for football only. On the show, Dr. Duma announced the webinar that is open to the public, he mentioned to send an email to headbiomed@vt.edu for free access to the meetings. Here are the links mentioned on the show. Stefan Duma, professor and head of the Department of Biomedical Engineering in the College of Engineering at Virginia Tech, was recently named the Harry Wyatt Professor in Engineering. “Dr. Duma is internationally recognized for his landmark studies in injury biomechanics and traumatic brain injury,” said Clay Gabler, chair of the honorifics committee of the Virginia Tech — Wake Forest University School of Biomedical Engineering and Sciences. This entry was posted in football, hockey, talk radio on July 17, 2014 by admin. Coach Russ Rose of Penn State University joined Stephen McCarthy to discuss the waterfront of ideas related to young volleyball players and coaches around the concept of balanced development. Coach Rose talked about the role of technology in a young persons life, the proper role of club volleyball, why is it important to play more than one sport, and finally, how coaches and athletes can develop a balanced long-term approach to elite performance in life and sport. Record breaking. History making. Legendary. All of these words can be used to describe the tenure of Penn State women’s volleyball head coach Russ Rose’s career in Happy Valley. At the helm of the Nittany Lion squad for 35 years, his name has become synonymous with the pride and tradition of the program. The leader of arguably the most successful collegiate women’s volleyball program in the country, Rose continues to pass along the confidence and character he has gained during his career. This entry was posted in talk radio, volleyball on July 7, 2014 by admin. BigSam of KMOJ talked on the history of basketball in Minnesota and the upcoming Grassroots All Star game. He has been involved with numerous AAU organizations over the years since he started with Mean Streets in the late 1980’s. Secondly, he will be one of the celebrity coaches at the Grassroots event and will be talking about the role the event plays in the community. 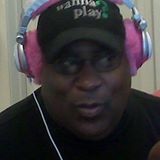 Currently, Big Sam is the sports director for KMOJ in Minneapolis, MN. This entry was posted in basketball, talk radio on July 1, 2014 by admin. Natural talent does not always win. Daniel Coyle, author of The Talent Code, talked about the ways work and understanding win out, rather than potential. This entry was posted in Philosophy, talk radio on July 1, 2014 by admin. This week on our talk show, Stephen had the opportunity to interview Brian Sandifer of Grassroots Hoops Club. 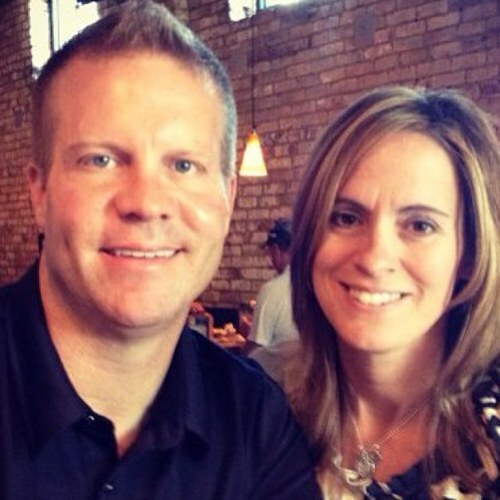 Over the last 15 years, Brian has worked with the some of the top players in Minnesota. 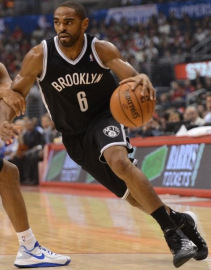 A short list includes Alan Anderson, Jordair Jett, Rodney Williams, and Troy Bell. We spoke about the true meaning of a relationship in the world of basketball and how coaches and parents transcend the petty politics of elite sport to treat athletes, parents and coaches the way they would like to be treated. For the complete show, visit blog talk radio. This entry was posted in basketball, talk radio on June 17, 2014 by admin. Is Food What They Say It is? In today’s world, you choose to eat healthy and you show up at the grocery store to pick-up fruits and vegetables. But are items really food? Is the genetically modified tomato as good as the non-gmo, organic, locally grown tomato? This and other questions around the concept of nutrient dense foods and the quality of food sources are covered. For the complete interview, visit here. Bio on Kate Miller: Food has long been a focus in Kate’s life, and she has worked in numerous kitchens and dining rooms in the US and Europe. Concerns about the quality of factory farmed food and social justice issues inherent in modern agriculture led to deeper involvement in the production end of our food supply. In 2010, after completing her M.A. and spending 6 months in India under the tutelage of organic food activist Dr. Vandana Shiva, Kate took a leap and began growing vegetables and herbs organically at Weathertop Farm. Every season is an adventure, and since that time we have added pork, chicken, and fruit production as well as a line of foraged foods through our business Wild Foraged. Foraging has been the natural progression in this journey to produce and share local, healthy foods with our community. Kate believes that wild foods, including wild medicinals, should play a distinct role in every person’s quest for a healthy and happy balanced lifestyle. This entry was posted in Health Freedom, nutrition, talk radio on May 24, 2014 by admin. 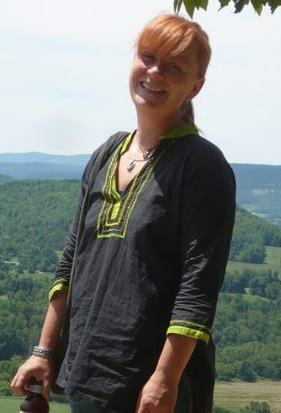 I was joined by Kate Miller of Weathertop Farm and WildForage.com to talk about the Slow Food Movement. The Slow Food Movement started in Rome, Italy in response to a McDonald’s invading the marketplace with there cheap, over-processed, fast food. Kate and Stephen discuss the lifestyle and food choices that make the Slow Food movement one of the best concepts for athletes and families to implement into their daily living. For the interview, click here. For more information on the Slow Food Movement in the USA, visit their website. This entry was posted in nutrition, talk radio on May 24, 2014 by admin. Stephen McCarthy will be joined by Dr. Bill Roberts, Director of the University of Minnesota St. John’s Hospital Family Medicine Residency and the editor-in-chief of Current Sports Medicine Reports, to talk about current and future trends in acl injuries and their prevention in young athletes. Stephen and Dr. Roberts will be covering the areas of pre and post injury research and trends. 2. Concepts or best practices to prevent the occurrence. 3. Post-injury and the collateral damage that should be addressed for rest of each athlete’s life. 4. Why to train the body and brain to work more closely together. 5. Tests and screens to make sure players are ready to actually play. Roberts directs the University of Minnesota St. John’s Hospital Family Medicine Residency. 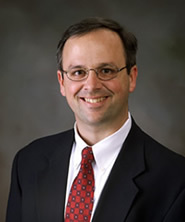 He is editor-in-chief of Current Sports Medicine Reports; past president and current foundation president of the American College of Sports Medicine; a charter member of the American Medical Society of Sports Medicine; a founding member of the American Road Race Medical Society; medical director for the Twin Cities Marathon; and chair of the Minnesota State High School League Sports Medical Advisory Committee. Roberts also blogs on RunnersWorld.com. This entry was posted in basketball, football, lacrosse, Soccer, talk radio, training programs on February 7, 2014 by admin. For the complete show, visit here. During the show, we be covering the following areas of elite performance development. a. Is doing nothing sometimes better than doing something? b. What is overtraining and the signs you may be there? c. General discussion on pros and cons of each method of training: body weight training, plyometrics and Olympic lifts as it relates to performance and injury. d. Are fad training programs needed for extra work, like Cross Fit, Insanity, and the like? e. How to build the proper foundation physically before moving on to heavier loading? Andy Barr, Performance Coach of New York Knicks, After playing 5 years as a pro soccer player in England, Andy joined the coaching staff for a local pro soccer team in England. He has been with the New York Knicks for 3 years as the performance coach. For additional information, visit here or twitter. This entry was posted in basketball, talk radio, training programs on January 30, 2014 by admin. Coach Chris Bates of Princeton University will join Stephen McCarthy to discuss the world of elite performance in lacrosse. We will be talking about what the mind of an elite player looks like and how you can start to develop the mental game needed for elite performance. 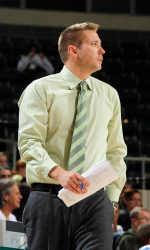 Coach Bates has been a head coach for over 14 years at the college level at Drexel and Princeton. For the complete interview, visit us on February 7th at 10am CST. Additional areas covered; Bigger, stronger and faster are not always are the best in the end, youth coaching and the emphasis on winning, and the lack of coaches with the ability to create an positive, creative environment for athletes. Interview with Max Seibald on going from a JV player to player of the year. Chris Bates, whose calmness and strength serve as the bedrock of the Princeton men’s lacrosse program, recently finished his fourth season as the head coach of the Tigers. Bates has led Princeton to two Ivy league championships, two NCAA tournaments and three Ivy League tournament finals, including one championship, in his first four years. Bates led Princeton to the outright Ivy League championship and into the NCAA tournament in 2012. In his first three seasons, he has now won two Ivy titles and made two NCAA tournament appearances. Faced with the often-difficult task of replacing a Hall of Fame coach, Bates has coached 13 first-team All-Ivy and 14 All-America selection in his first four years. He has also coached the Ivy League Player of the Year once and the Rookie of the Year three times in four years. 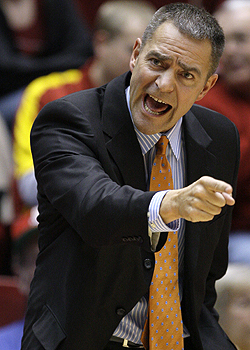 His career record in 14 years as a head coach is 105-95, including 35-24 at Princeton. This entry was posted in lacrosse, Philosophy, talk radio on January 24, 2014 by admin. So many of us have no idea the importance the type of seed used to produce the food we consume has on a society. Today, Scott Jackson, professor at the University of Georgia, will join Stephen McCarthy of The McCarthy Project to discuss the current and future trends in seed genetics and the use in our world today. We will be discussing the concepts of domestication, bottlenecks and epigenetics as it relates to the world of growing food. Areas we will touch on today’s show are the following: The Debate on the Use of GMO’s. Seeds that are cloned and then transferred together control pests and disease. Hybrid and the value to the food supply. Hybrid seeds and crossing the strands, corn, rice, need to solve the problems. Only works in a few crops. Heirlooms. Seeds that were used before commercialization and open pollinated. Here are a couple articles for additional research. 1. Wall Street Journal on the GMO Debate. 4. Green Depot on the difference and debate to use hybrids or heirloom seeds. Scott Jackson’s research focuses on the application of genomics and cytogenetics to understand the structure, function and evolution of plant genomes, with a focus on the rice, soybean, common bean and peanut. The Jackson lab has been involved in sequencing plant genomes such as soybean, common bean, pigeonpea, chickpea and peanut. Research includes evolutionary studies of individual species as well as entire genera (e.g. Oryzeae and Glycine). We use cytogenetics to explore chromosome structure and function. Much of our work is at the intersection of genomics/epigenomics and bioinformatics. We generate and utilize large genomic data sets to discover genes, make gene-phenotype correlations and provide tools for engineering improved crops. This entry was posted in Health Freedom, nutrition, talk radio on January 24, 2014 by admin. Dr. Stefan Duma on the history of concussions, challenges to change, and the future of equipment in contact sports. Dr. Stefan Duma of the Center of Injury Biomechanics at Virginia Tech University in partnership with Wake Forest University joined Stephen McCarthy to talk about the world of concussion. The recent lawsuits by the current and former NFL players has made the subject of concussion a discussion within the fans, parents and young athletes. Dr. Duma and Stephen covered the history of concussion and sport over the last 60 years and the challenges that lie ahead for the governing bodies, sports organizations, manufacturers, and the athletes who participate. Lastly, Dr. Duma discussed decisions that can be made based on the current information and research. For the complete show, click here. This entry was posted in football, hockey, lacrosse, talk radio on January 7, 2014 by admin. 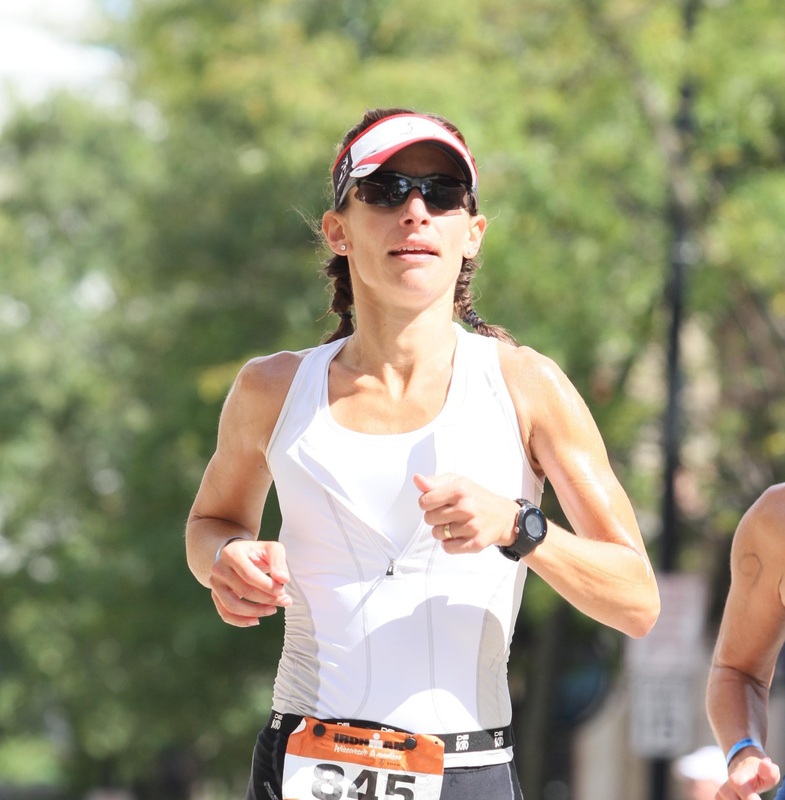 Stephen McCarthy of The McCarthy Project covered a few of the concepts in the book Deep Nutrition, as well as author Kathryne Pirtle of Performance Without Pain tells her story of overcoming pain to live life and perform her absolute best. Catherine Shananhan’s book covered recent research related to nutrition and traditional gene theory. 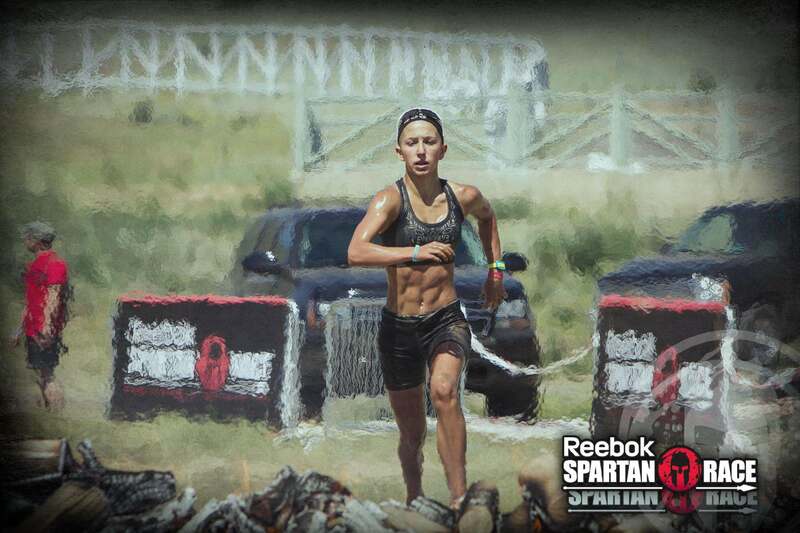 While, Kathryne Pirtle joined Stephen to talk about her journey through pain and struggle with food to gain victory and some ideas on how each of us can improve our performance by eating a non-gmo, organic non-western diet. 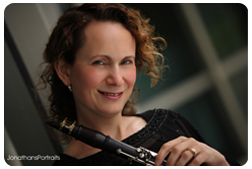 Kathryne Pirtle is the clarinetist and executive director of the Orion Ensemble, which gives three concert series in Metropolitan Chicago, presents a live, internationally broadcast series on Chicago’s WFMT-FM Fine Arts Radio Network and tours throughout North America. She is principal clarinetist of the Lake Forest Symphony and frequently performs with the Chicago Lyric Opera Orchestra, the Grant Park Music Festival, The Ravinia Festival Orchestra and the Chicago Symphony Orchestra. Ms. Pirtle has co-authored a book with Dr. John D. Turner and Sally Fallon called Performance without Pain, which was published in 2006 by New Trends. This book focuses on the modern dietary influences in common inflammatory and degenerative conditions in musicians, athletes, dancers and the general public. It presents a highly effective solution to healing that utilizes nutrient-dense, enzyme-rich, traditional foods. Since 2004, she has given more than 85 workshops around the country and appeared on numerous radio and television shows. This entry was posted in Health Freedom, nutrition, talk radio on January 4, 2014 by admin. Zack is on the front lines of the gmo and organic debate. 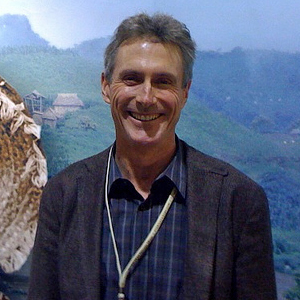 He is the Assistant Media Director of Public Relations for Organic Consumers Association, one of the largest special interest groups fighting for non-genetically modified organisms in the food supply, as well as, the use of organic farmer techniques. He joined Stephen McCarthy to talk about recent GMO labeling laws in California and the upcoming vote in Washington state on the same subject. We will also be covering the recent suicides by farmers in India and other current events around the globe. The interview will air on Wednesday, November 6th at 9am cst. For Zach’s thoughts on the how to live a organic lifestyle and how to locate the proper food sources, click here. On the current hot topics in the world of gmo’s and organic foods, click here. 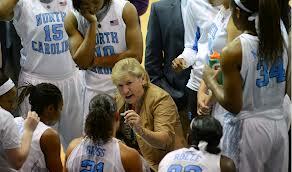 In the second half of the show, University of North Carolina Head Women’s Basketball Coach Sylvia Hatchell will join Stephen McCarthy of The McCarthy Project to discuss passion, distractions, technology and relationships in the world of women’ s basketball. Zack is the Assistant Media Director of the Organic Consumers Association (OCA), an online and grassroots public interest organization campaigning for health, justice, and sustainability. 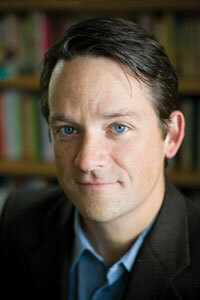 Formerly, Zack was the Assistant Media Director for California’s Prop 37 campaign to label genetically modified foods. Zack has also served as Communications Director for the Consumer Federation of California and Editor of the California Progress Report. 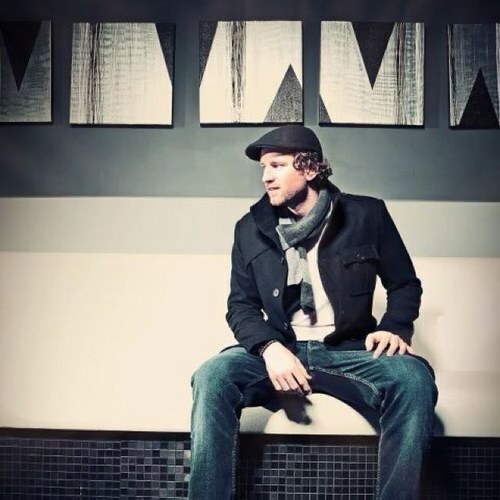 Zack received his Bachelor’s degree in Communications from the University of California San Diego, and his Master’s, also in Communications, from San Diego State University. This entry was posted in Health Freedom, nutrition, talk radio on November 2, 2013 by admin. 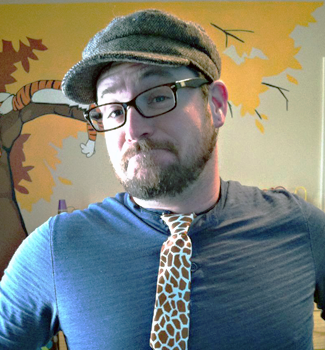 Richard Grove of TragedyandHope.com will be joining Stephen McCarthy of The McCarthy Project to discuss to ways to break institutionalized thoughts and replace them with self-reliant, self-confident, clear thoughts from your own creative imagination. 1. Why do we need to change our institutionalized thoughts? 2. How do we change our current thoughts? 3. What should you expect while changing how you think? 4. What are the potential results if you put in the time and effort? 5. OK I agree I need to change, where do I start? Lastly, we will be developing how athletes can use his films, State of Mind and The Ultimate History Lesson, to create elite performance. In 2003, Richard Grove filed for federal whistleblower protection under the Sarbanes-Oxley Act of 2002.In 2006, he released on mp3 a 2-hour public disclosure “Project Constellation: A Message to the Future of America”. Since then, Richard has created more than 500 hours of educational and informative media productions, including a comprehensive conscious curriculum to teach individuals methods for learning anything and everything for themselves (a.k.a. “The Peace Revolution Podcast”). Some of his more powerful publications include: State of Mind: The Psychology of Control (2013 co-production), History… So It Doesn’t Repeat (2013 series), The Ultimate History Lesson with John Taylor Gatto (2012), The Peace Revolution Podcast (2009-Present), What You’ve Been Missing: Exposing the Noble Lie (2010), 20/20 Hindsight CENSORSHIP on the Frontline (2010), and Project Constellation (2006). 1. Peace Revolution Podcast: Hundreds of hours of additional research around cognitive liberty and peace through clear, ordered thoughts. 2. Lindsey Berg: Lindsey broke down how you can apply these concepts to become a professional athlete and Olympian. 3. Jon Rappoport: Rappoport developed ways to use your creative imagination with straight thoughts and how to apply it in real life. 4. Elite Performance by Stephen McCarthy: Stephen McCarthy broke down one complete path to elite performance. This entry was posted in Philosophy, talk radio on September 25, 2013 by admin. Coach Sandoval will be joining Stephen McCarthy of The McCarthy Project to develop out how a structured training program works in both at a team and a individual level. 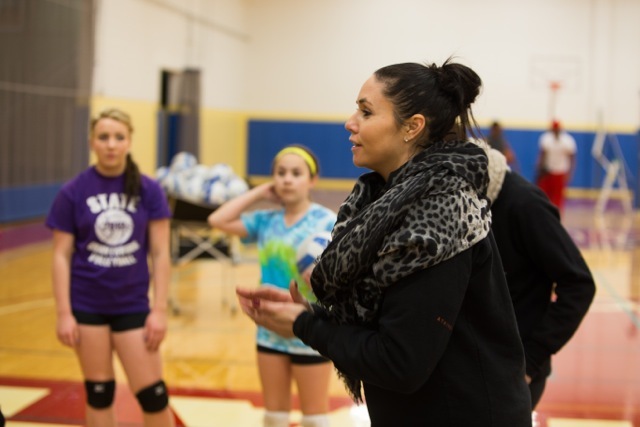 Coach has worked with athletes for over 10 years with an extensive background in multiple sports. We will be covering ways to look at training for lacrosse, basketball and volleyball. The differences between each sport and how young athletes can apply the training information to their current programs. Tune in October 30, 2013 at 9am CST for the complete show. Bo Sandoval is in his fourth year at U-M. 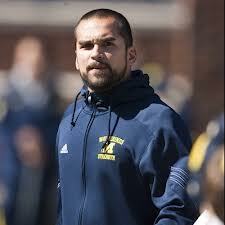 Prior to being named Assistant Director of Strength and Conditioning in summer of 2012, he served as an assistant strength and conditioning coach for Olympic Sports at the University of Michigan. Sandoval designs and implements supplemental performance programs for men’s lacrosse and women’s basketball. 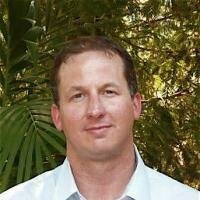 He specializes in providing comprehensive training programs focused on multi-year development. Sandoval’s individualized training programs are influenced by the requirements of each athlete’s specific competition needs and are based on each team’s competition calendar. Sandoval’s other responsibilities include directing the strength and conditioning department’s intern education program. This entry was posted in basketball, lacrosse, talk radio, training programs, volleyball on September 20, 2013 by admin. Coach DeSelm joined Stephen McCarthy to talk about raising up the next generation of young athletes and more specifically the next generation of swimmers. For over 35 years, Coach DeSelm has either participated or coached swimmers. Coach mentioned that winning and losing does not bring joy to sport. While he feels the winning and losing do play a part, it is not the most important part. He maintains that the joy of the activity or participating in sports and becoming your best is the key to long-term success in life and sport. Tune in Friday, September 25, 2013 at 9am CST to listen to the show. Coming off his most successful season to date, Rich DeSelm is now in his sixth year as the head swimming coach at the University of North Carolina after serving for one year as the chief assistant and head coach designate under former mentor Frank Comfort. The program has made great strides under DeSelm’s tutelage in the past five years. 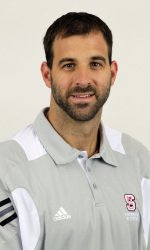 DeSelm had been a highly successful head coach at Davidson College and a long-time assistant at perennial Top 10 program Florida before he assumed the full-time head coaching duties at Carolina on July 1, 2007. This entry was posted in swimming, talk radio on September 20, 2013 by admin. Caroline Buchanan joined Stephen McCarthy to talk about her success as a bike racer, as well as, the 2012 Olympic experience. She is a true professional on and off the track. We taped the interview earlier this morning with almost 90 minutes of technical problems and she was gracious enough to wait them out and be flexible. It was amazing. If you are looking for truth on elite performance, you need to listen to Caroline. It will start you on your journey of elite performance. For just the interview with Caroline, click here. The complete interview and show will air 8am CST September 18th. Here are a couple of the topics we covered during the 30 minute interview. (1) Clear thoughts lead to success (2) Have high expectations and goals. (3) Focus on the love of the sport, not getting sponsors (4) What happens next when you don’t do your best (5) Thoughts on why so many elite bike racers are coming out of Australia. 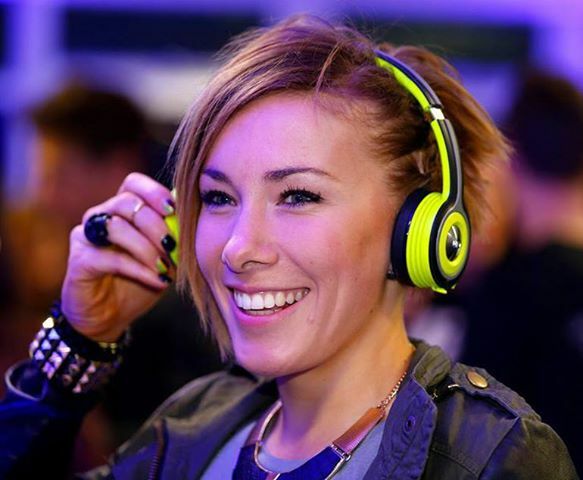 You can connect with Caroline on Facebook, her website or follow her @CBuchanan68. This entry was posted in cycling, talk radio on September 11, 2013 by admin. CEO of Sauce Hockey Eric Kleineck will sharing the story of Sauce Hockey, “the sauce life” and Paul Bissonnette aka Biznasty2point0. He will tell the story of how the company got to know Paul and how the BizNasty line of clothing got started. 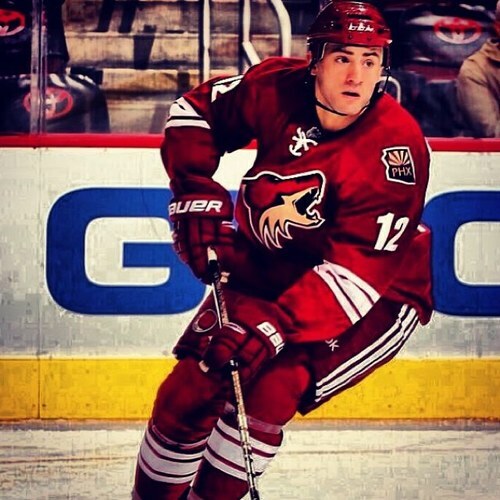 To listen to The McCarthy Project Show and the complete interview visit “Sauce Hockey and BizNasty” on Friday, September 13th at 8:00am CST. Eric took the time to talk about the world of art, music, hockey, as well as, the world of social media. He has built a brand around what he calls “the hockey language” and how the sauce life is translated into his brand of apparel. Secondly, he will talk about how their relationship with Paul has developed over the years to take on a life on of its own. For the interview only, visit here. Sauce Hockey’s vision is to be the industry leader in the lifestyle apparel category. We create design-driven clothing that offers a superior consumer experience. Inspired by hockey, art, fashion, and music, our products tell a story that takes you to a familiar place as a fan and/or player. It’s simple, genuine, honest, and often times showcases the lighter side of the game. This entry was posted in hockey, talk radio on September 9, 2013 by admin. Coach Butts shared her thoughts on how to properly develop the skills to play elite basketball. You can learn some things from youtube videos, video games, ant to some extent, complex non-basketball movements. All of which has its time and place, but you must develop the ability to dribble with speed, shoot the ball, and defend. Yup, the basic fundamentals of basketball. This is coming from a player who played at Tennessee under Coach Summit, won two national championships as a player and has coached at the collegiate level for over 10 years. To Listen to an excerpt from the taped interview, click here. The complete show will be aired on September 11th at 8am CST. 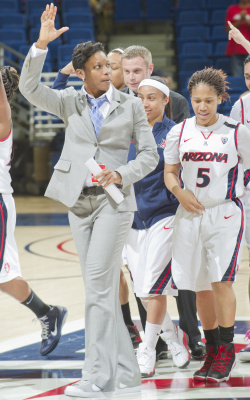 Entering her sixth season at the helm of the Wildcat program, women’s basketball head coach Niya Butts is more energized and driven than ever to continue to build on the strong tradition of Arizona women’s basketball and to take the program to new heights. With a talented class of younger players and an experienced and motivated group of veterans, the 2013-14 season is poised to be a successful stop on the road to greatness. This entry was posted in basketball, talk radio on September 5, 2013 by admin. Coach McDermott joined Stephen McCarthy to talk about coaching young athletes and more specifically, your own children. Coach has the honor of coaching one of his children at Creighton University, All-American Doug McDermott. Coach shared his thoughts on parents role with young players, how to get batter while playing a role you don’t like, and finally, if your parent is the coach, how should you handle yourself. Here is a portion of the interview with Greg McDermott on Coaching Your Own Children. The complete interview will be aired Monday, Sept 9th at 8:00am CST. Graduating student-athletes, record win totals, sold-out crowds, an MVC tournament title, postseason success and an All-American son are part of the legacy that Greg McDermott has created in his first two seasons on The Hilltop. 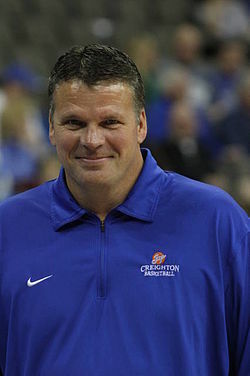 Named the 16th head coach in Creighton men’s basketball history on April 27, 2010, McDermott has gone 52-22 in his first two seasons, while returning the program to the national rankings with an up-tempo style of play that has fans turning out in record numbers. Last season, Creighton tied a school record with 29 wins and reached the third round of the NCAA Tournament, while establishing a program record with 2,772 points. The team spent 16 weeks ranked in the top-25, and earned its inaugural First-Team AP All-American in program history when Greg’s son, Doug, was honored following a record-setting season. Doug was the first sophomore in league history named MVC Player of the Year, setting a school record with 801 points while also leading the nation with 307 field goals. This entry was posted in basketball, talk radio on September 4, 2013 by admin.